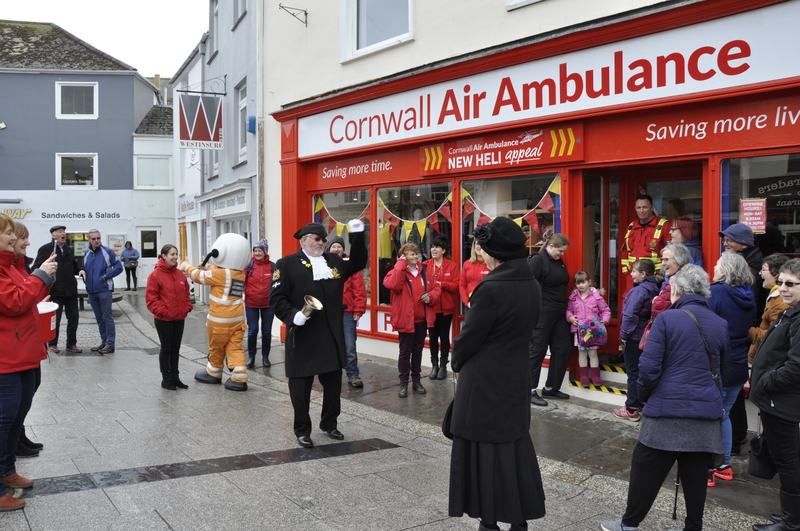 Cornwall Air Ambulance opened a new charity shop in Truro on Saturday 16 March. The shop, which will raise money over the next year for the New Heli Appeal, was officially opened at 11am by Critical Care Paramedic Jeremy Griffiths. A queue of people waited for the shop doors to open and the first 30 paying customers received a free goodie bag. 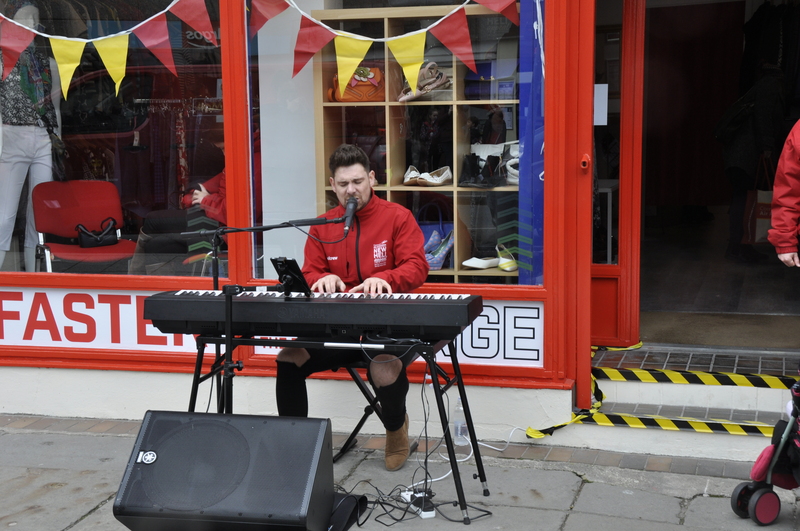 Former Britain’s Got Talent singer, and New Heli Appeal Ambassador, Josh Curnow performed live outside the shop keeping passers-by entertained. 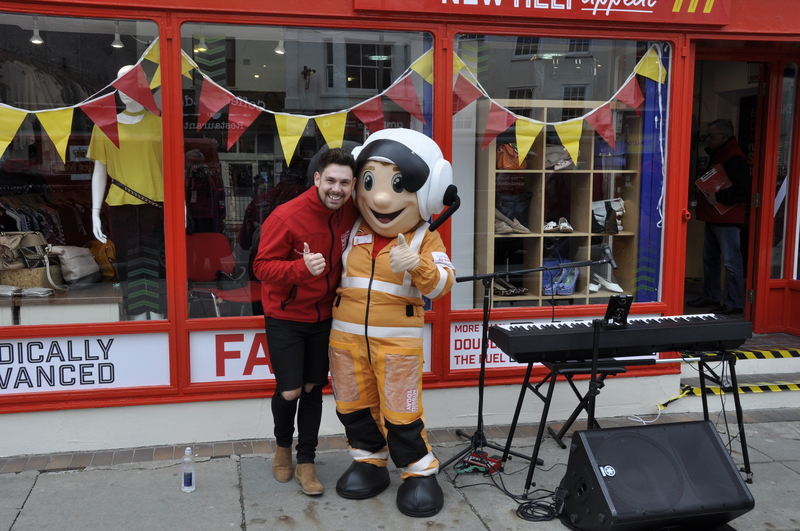 Cornwall Air Ambulance mascot Aircrew Andy hit the streets of Truro collecting donations for the lifesaving charity throughout the day. Joanne Harriss, Retail Area Manager for Cornwall Air Ambulance, said: “We are delighted to have a shop in the centre of Truro again. It’s slightly unique to our other charity shops in that donations from purchases will be going directly towards our appeal to bring a new air ambulance to Cornwall and the Isles of Scilly. 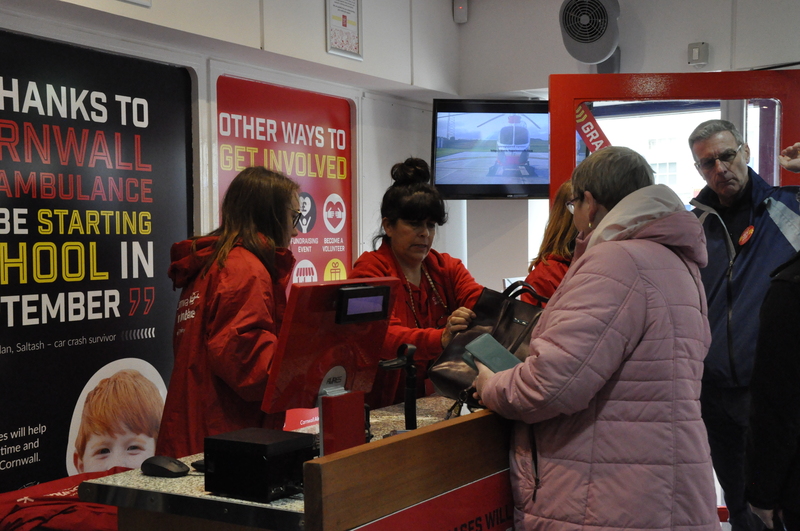 “We had a great turnout on the opening day, there was a real buzz around the place and everyone was so generous. I’d like to thank everyone who came along and who donated on the day. The shop, which is located at 20 Victoria Square, is now open Monday-Saturday from 9.30am-4.30pm. The charity is looking for shop volunteers, if you can help get in touch with Jackie Eastwood on jackie@cornwallairambulancetrust.org or call 01637 889926.